For the latest in the alcohol chemistry series, we’re looking at a pirate’s favourite spirit: rum. It’s actually hard to describe what constitutes a rum, because there’s not really a fixed definition; different countries have different standards that rums have to meet. Still, despite the differences in types, there’s still a lot of chemistry in common. Rum originates from the process that gives us sugar. Sugar cane has to be processed to produce sugar, and this processing produces a syrupy fluid known as molasses. Back in the 1600s, this was a problem in the sugar cane plantations of the Caribbean, as they didn’t have any real use for these molasses. They didn’t have any nutritional or monetary value. However, the colonists quickly discovered that, if water was added, the resulting material could easily be fermented to produce alcohol. Suddenly, a useless byproduct was a valuable precursor to rum. The process for making rum is also quite variable, depending on the type of rum being produced. Initially, the molasses, having been mixed with water, are fermented, with yeast being added to kick off this process. After this, the rum is distilled to concentrate the alcohol and aroma/flavour compounds. After this, the rum is aged, in barrels. These are often charred oak barrels from the bourbon production industry, as regulations surrounding the production of bourbon dictate that barrels can only be used once. The ageing of rum is usually somewhat shorter than that of whiskey. This is in part due to the climate in areas where rum is commonly produced. Warmer climes lead to greater evaporation of the spirit as it ages. Whiskey experiences this too, with the amount that evaporates being about 2% per year (known as the ‘angel’s share’). By comparison, rum’s ‘angel’s share’ is around 10% per year. After ageing, the rum is blended with other distillates in order to produce a balanced and consistent product. In the case of white rum, it may also be filtered to remove colouration. So, what is it that makes rum rum, on a chemical level? In terms of the aroma, ester compounds have a big part to play. 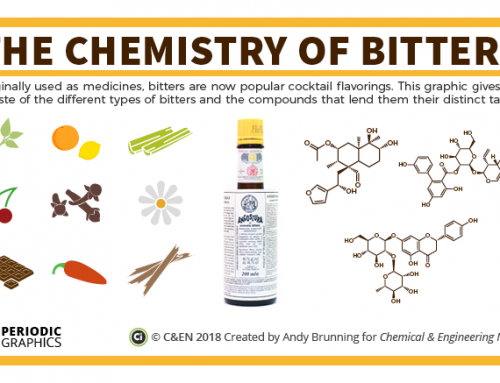 You might have come across esters in chemistry class – they’re relatively easy to make, by reacting an organic acid with an alcohol, and are characterised by their range of different aromas. Some smell fruity, some smell medicinal, some smell like glue. There are a whole range of ester compounds found in rum; they’re often the dominant class of organic compounds found in the spirit. The range of esters adds the fruitiness to rum’s aroma; particularly important contributors are ethyl propanoate which contributes a caramel-like, fruity aroma, and ethyl isobutyrate which has a butterscotch-like aroma. 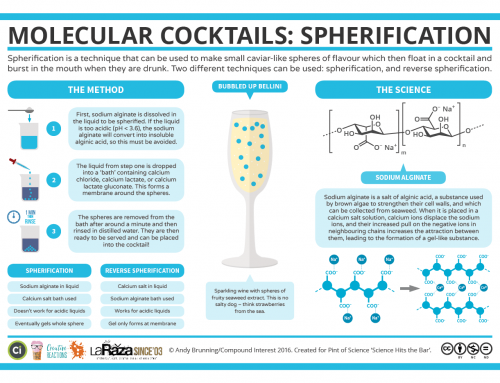 Rum has a higher short-chain carboxylic acid content compared to other spirits, which may also help explain why its ester content is higher than other alcohols. It’s not just the esters that contribute to the aroma and flavour, however. The acids that help to form the esters can, themselves, have an impact. 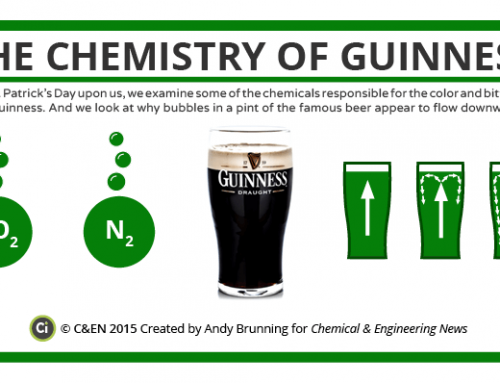 Additionally, higher alcohols (that is, those with more carbons than ethanol) also contribute. Phenethyl alcohol adds a floral aroma, and is actually also found in the aroma of roses and several other flowers. 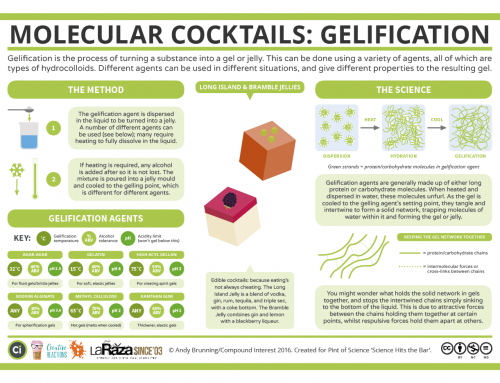 Isoamyl alcohol adds a more malty note. The afore-mentioned compounds derive from compounds already present in rum. However, during the ageing process, compounds from the barrels the rum is contained in can also end up in the mix. These include a number of phenolic compounds, which can impart medicinal and smoky notes. They also include compounds like vanillin, the major flavour and aroma component of vanilla. Oak lactones are also found in rum, though to a lesser extent than in whiskeys which tend to be aged for longer. The type of rum can of course impact the precise chemical composition of the spirit. 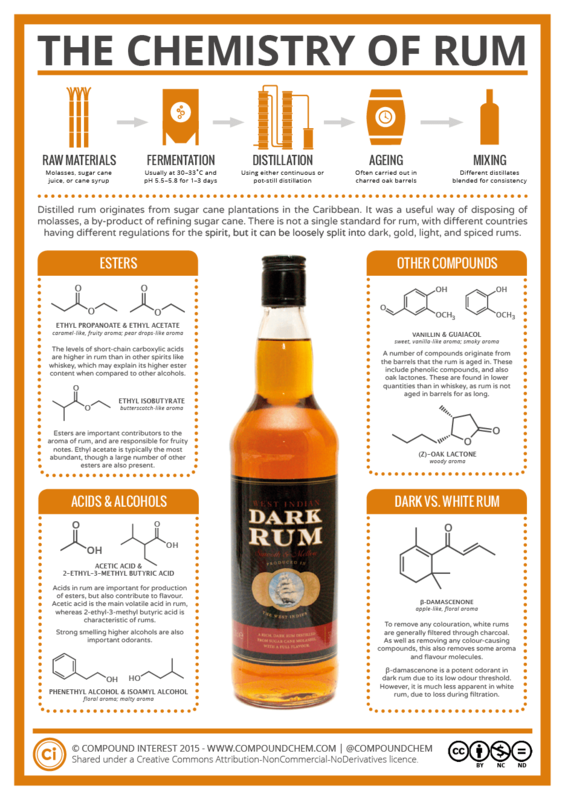 Dark rums tend to contain more flavour and aroma compounds than lighter rums. White rum is filtered, often through charcoal, to remove compounds that cause colouration. However, this filtration can also remove compounds that impact the rum’s flavour. A specific example is beta-damascenone. This is one of the most impactful odorants in dark rum, but its impact is much reduced in white rum, presumably due to the dip in its concentration after filtration. 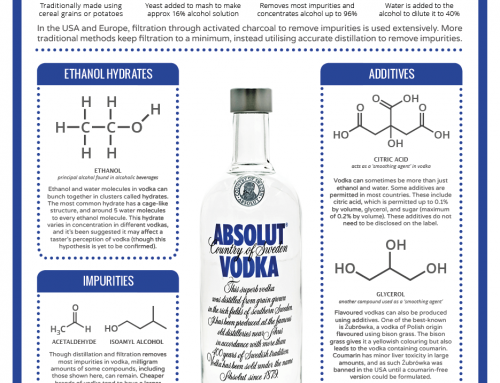 It’s always worth clarifying that alcoholic spirits are very complex mixtures of compounds. Just mixing the small number of compounds mentioned here wouldn’t get you anywhere near the flavour or aroma of rum; many other compounds make contributions, however small they may be, and it’s the sum of the myriad component compounds that makes rum taste and smell like rum. The allure of this spirit’s particular mix of compounds made it a big hit when it was first produced in the Caribbean, and though it suffered a dip in popularity during the Revolutionary War, today it is again one of the most popular spirits available. The stereotype of pirates being partial to rum is by no means a fabrication; there are also a couple of somewhat macabre tales concerning the spirit. The first of these actually concerns a brand of rum available today, known as Captain Morgan’s. It’s name derives from Sir Henry Morgan, and English privateer made famous by his numerous raids on Spanish settlements in the Caribbean. He was partial to the odd glass of rum, to say the least; in fact, the cause of his death, in Jamaica in 1688, was put down to alcohol-induced liver damage. Another tale in which rum may have played a part was in the death of Admiral Horatio Nelson. His death at the Battle of Trafalgar in 1805 is well-known, and supposedly after his death his body was placed in a barrel of spirits to preserve it until the ship returned to port. Most accounts suggest that the spirit in question was in fact brandy, rather than rum, but the practice was more commonly carried out using rum. Supposedly reports at the time even criticised the choice of brandy over rum, even though the preserving effect would be identical. On a final note, Nelson’s isn’t the strangest story involving a body preserved using alcohol. In 2013, a story came to light of a Georgian mother who used alcohol-soaked sheets to help preserve the body of her dead son in the basement of her house for twenty years.